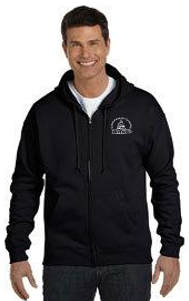 Congress of Gamers' vendor tables for the Winter Session are still available. This is CoG's 16th consecutive No-Ship Math Trade. A Math Trade is a trade between many people at once, using an algorithm to decide who should give their game to whom. Because of the algorithm used, you will get a game you prefer over what you started with or, at worst, keep your original game. A no-ship math trade is simply a math trade between individuals who are able to deliver their games to each other in person, in this case, at Congress of Gamers. For additional details about Math Trades, go to the Wiki page. Get details and list items you might be willing to trade on: https://www.boardgamegeek.com/. All games that successfully trade will be exchanged at the convention. Anyone involved in the math trade will be responsible for delivering the games that successfully trade to the vendor table before 2 PM on Saturday. We'll sort the games by recipient and have them available for pick-up after 2:15 pm on Saturday. If your games aren't picked up by 4:30 pm, they will be temporarily moved to the CoG library, at the trader's risk. Forgetful traders can look for them there. Any games still left in the library at the close of the con will be considered abandoned and will be permanently added to the CoG library. We'll be running a super-easy Auction Store where you can sell your own games and get GREAT deals on new and used games from fellow gamers, all while supporting your local gaming community. There are no packing and shipping hassles for sellers. 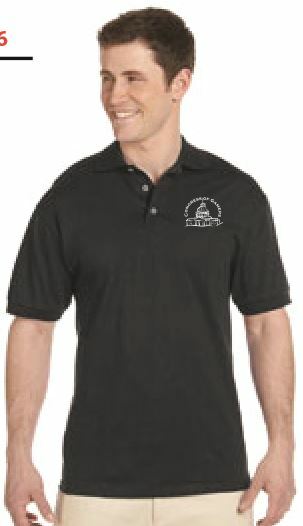 There are no shipping expenses and delivery risks for buyers, who can hold and see what they are buying. Past sales have had 800-1300 games for sale, and it's easily the most popular activity at the Congress of Gamers conventions. Sales are on Saturday only. Check it out! 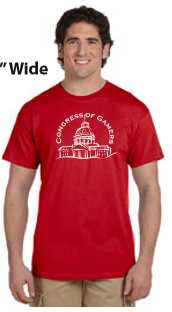 Get a Congress of Gamers souvenir shirt at the convention for $15 each ($20 for 2XL+), $30 for hoodies, while they last. Here's our current inventory. Refreshments will be on sale in the Kitchen from 10am-10pm Satuday and 10am-6pm Sunday (vending machines during all hours). Coffee, sodas, water, juice, crackers, chips, pretzels, candy, cookies, hot dogs, etc. will be available. Pizza and salads will be delivered at 1pm and 6pm, Sat and Sun. Pre-order at snack bar.